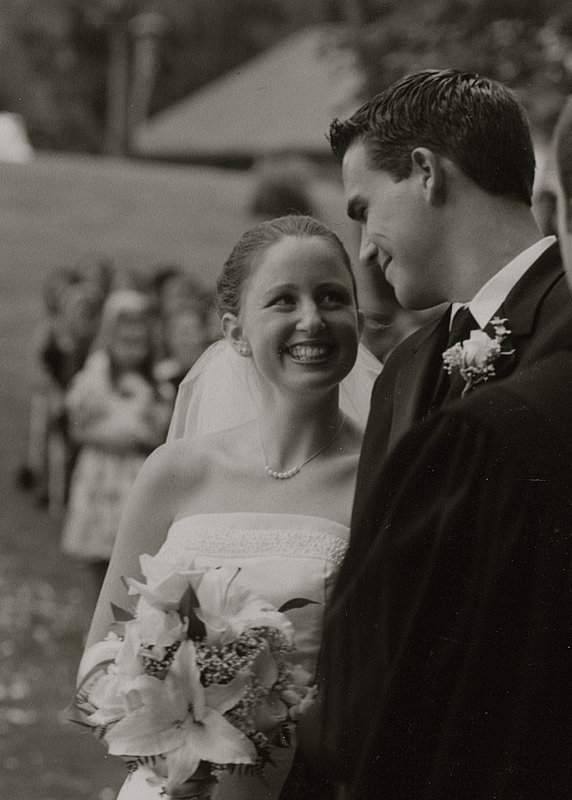 8 years ago today I walked down the aisle and married my husband. Best decision I’ve ever made (next to choosing Jesus, of course!)! I’m feeling very nostalgic and very much in love today. It’s been a beautiful 8 years, and I can not wait to see what is in store for the next 8, and the next 8, and the next 8….and the next! BRYSON I LOVE YOU! Looking at these pictures makes me feel like we were babies when we got married!! 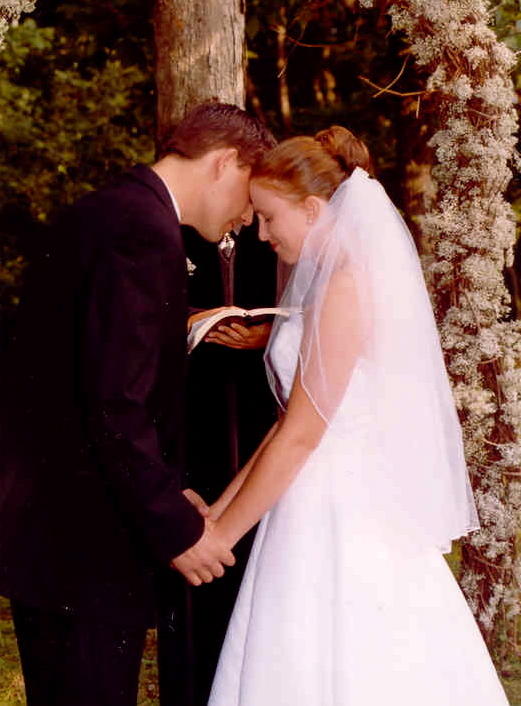 22 years old and so in love….ahhh! Go ahead, you can giggle with me, some of these pictures are just plain silly! 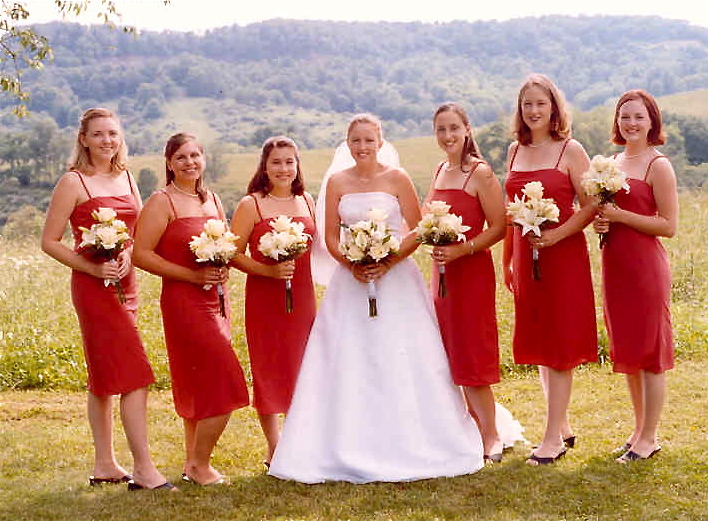 I felt like such the trend setter making my bridesmaids wear off the rack J Crew dresses! enough with the cheesy posed kissing already! 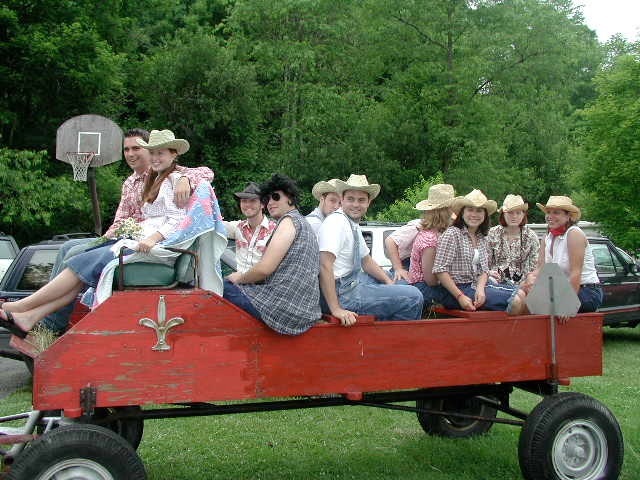 For our rehearsal dinner we hosted a “Ho Down” and made everyone dress up like rednecks. It was a blast and so very silly! We had a square dance caller and everything! Good memories! Thanks for walking through memory lane with me! 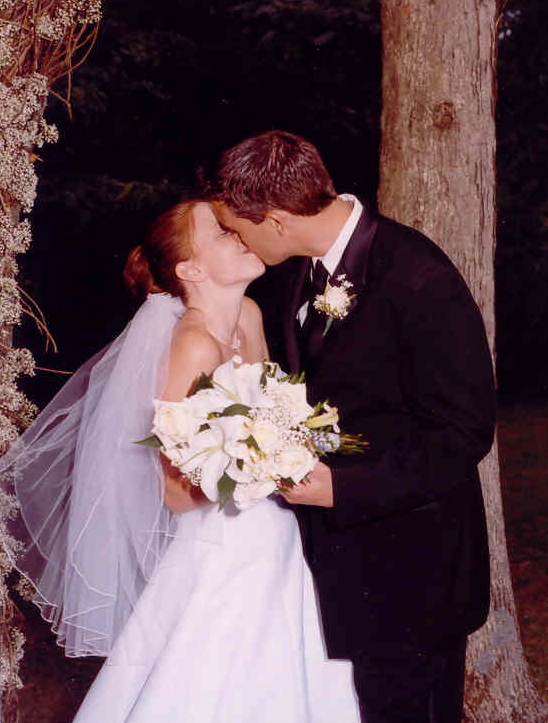 I need to scan a bunch of our good pictures…maybe by the time our 10th anniversary rolls around I will get to that! Happy Anniversary! Love the pictures! The rehearsal dinner sounds like it was so much fun and the wedding pictures are beautiful. Love the hoedown – such fun! 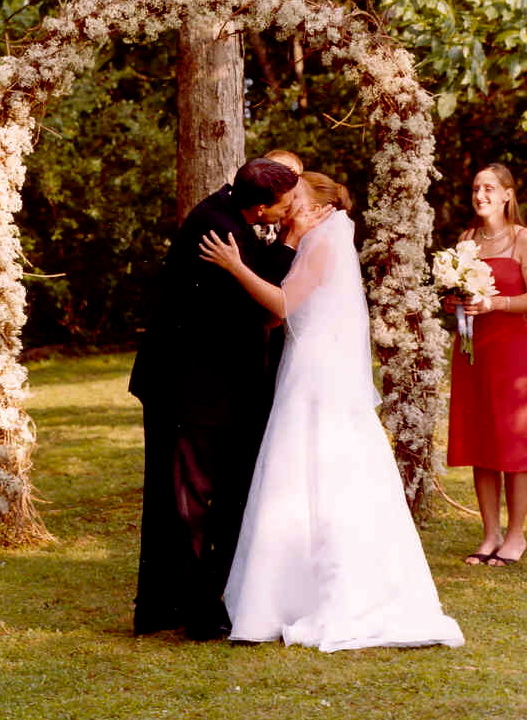 I was 22 (my husband 21) when we were married – always fun to look back. And you sure were a trendsetter with those dresses (I wore a JCrew number – love it & use it whenever I have an excuse to wear gorgeous silk faille – for my sister’s wedding 4 years ago). you’ve got some good looking bridesmaids! I am so glad you all got married 🙂 I am learned so much from you and I just love your kiddos!